With vast skies, never-ending landscapes, the CKGR is a place of magic, mystery, and sheer beauty. It is amazing just how much life this seemingly inhospitable place can support. It can be extremely hot during the day, but once the sun sets over the horizon it can also get very cold with temperatures going below 0°C. It is as fascinating as it is unusual, with places to explore with striking names such as Deception Valley or Pipers Pan. 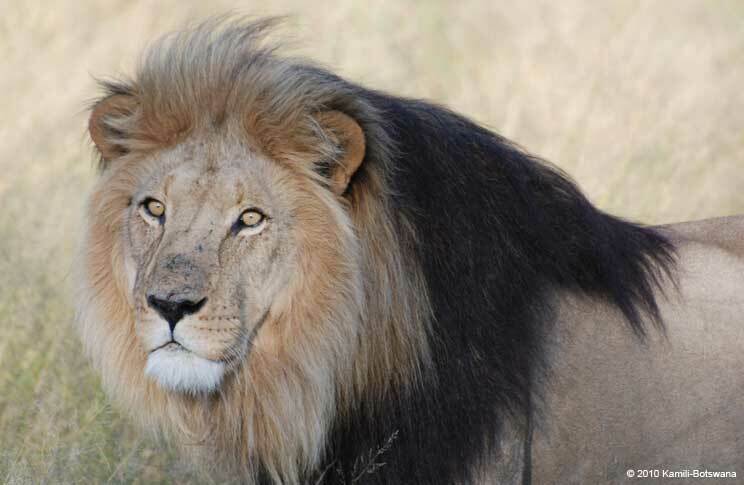 One of the main attractions (pardon the pun) is the majestic king of beasts that calls this area home, the Kalahari black-maned lion. The contrast of the thick dark mane against the beige fur is a striking image, making this beautiful beast much sought after by photographers. The usual African lion, as we know it is found here in good numbers too, contrary to popular belief the black-maned lion is not a sub-species of the African lion. 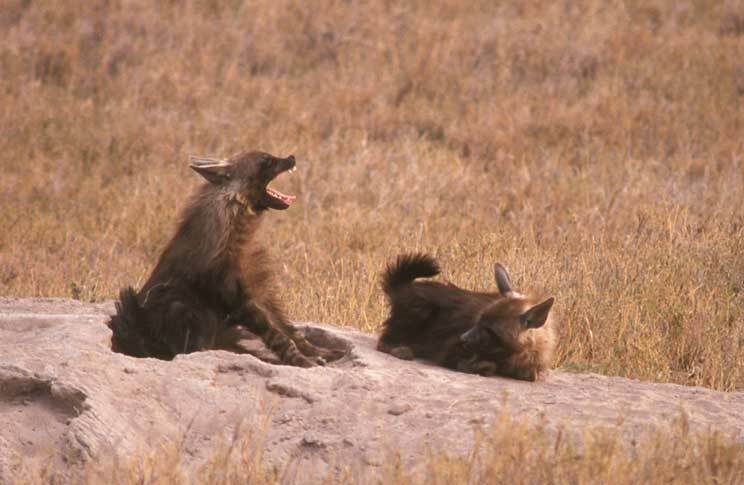 More rare, but still present in the reserve is the brown hyena, not as common as its cousin, the spotted hyena. It’s not just lions that are found here in good numbers, there is plenty of plains game too. 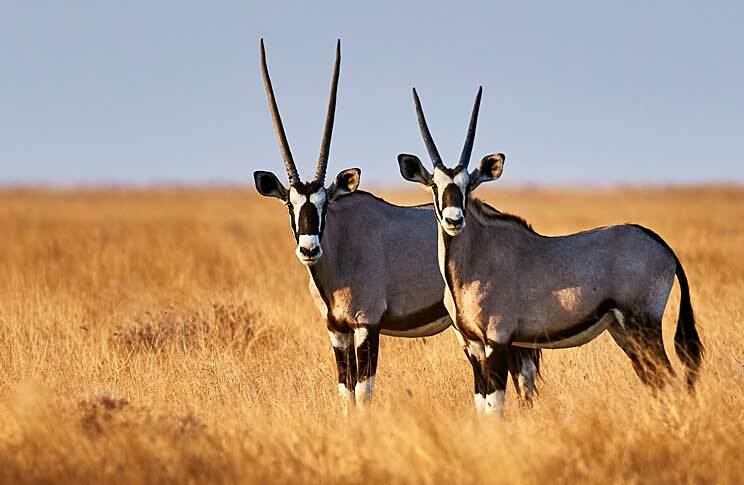 The oryx (or gemsbok) can often been seen in sizeable herds, although a lone oryx against the horizon makes for an iconic image, with their long straight horns, aiming for the sky and springbok are found in good numbers too. Honey badgers thrive here, known for being tenacious and tough, they will take on anything and anyone that comes between them and a meal. Whilst they are ferocious, there is something endearing about them too. Families of bat-eared foxes make their home in dens and jackals roam the land in healthy numbers, we were lucky enough to see an aardwolf on our last visit. Well, we think the green season is an excellent time to visit the desert (November to March). The rains give life to succulent, sweet grasses, food for the wildlife is abundant, there are more water sources, and this is the time of year when many animals drop their young. Rather than an inhospitable, stark landscape dotted with low acacia trees, it is transformed into a verdant paradise with food and water in abundance for all. 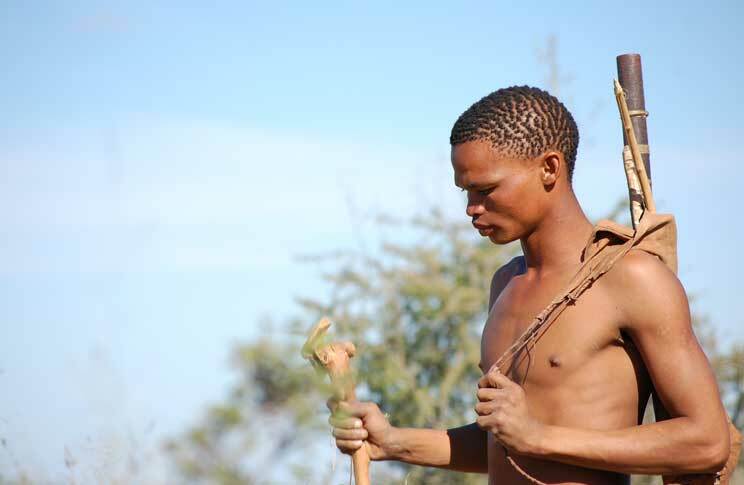 Many of the lodges hire San Bushmen as guides and they are able to show you their customs, beliefs and ways of survival in the harsh, yet stunningly beautiful and captivating desert landscape – it makes for a fascinating experience and you are bound to make some excellent memories in this. The CKGR makes an excellent contrast to the Okavango Delta, our consultants will be able to advise you on how best to combine the two areas. The Central Kalahari Game Reserve is most definitely worth a visit.